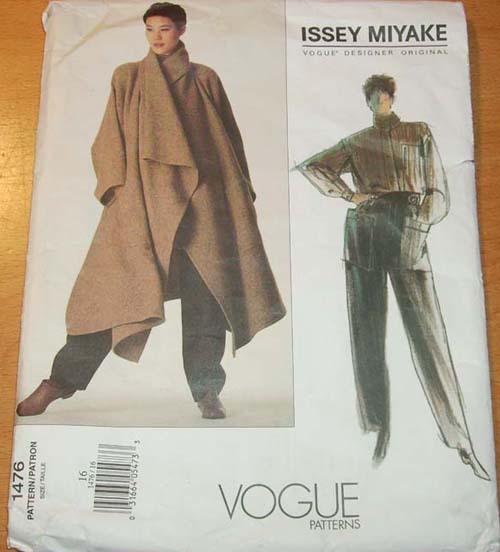 This Vogue pattern 1476 was in my stash for several years now waiting to be made. 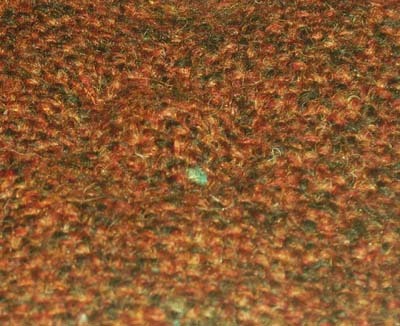 The coat takes a lot of fabric 4,5 meter which should not have visible difference in a right and wrong side and finally I found the fabric on sale a woollen tweed 80 % wool 20 % acrylic for only € 7,95 per meter. 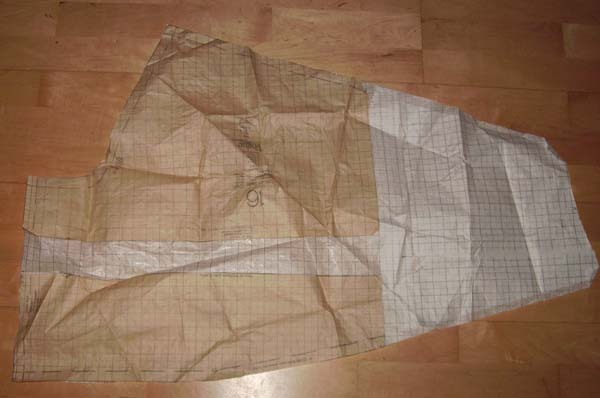 And sin ce I needed a lot of fabric the fabric weight was important too ,so if you want to make this pattern look for a kind of drapery fabric. This pattern although it looks quite unusual is very easy to sew. The pattern has only a few pattern parts but need a lot of space for the layout. I used two tables side by side for the layout and cutting. 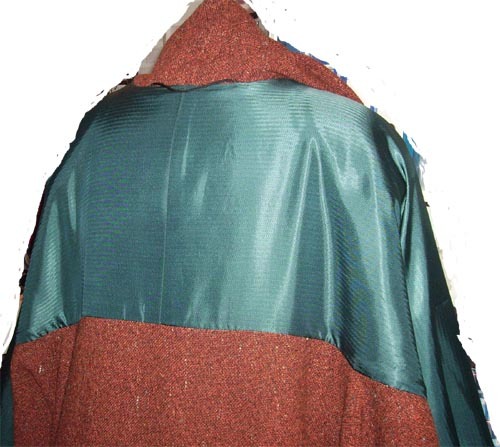 The fabric is cut on the crossgrain instead of the usual length grain. 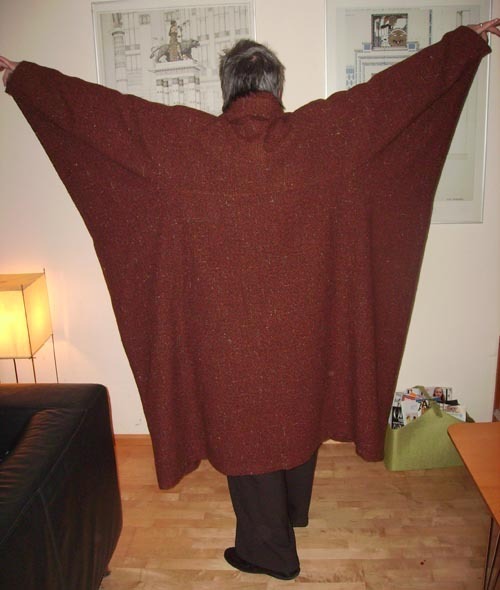 Since I am nearly 6 foot (1.81cm) I lengthened the pattern at the coat and sleeve part and add some length to the yoke part. Vogue gives instructions how to sew this pattern but I did not like to do a lot of top-stitching so I skipped that part. Since my fabric is very easy to ravel I start serging all the seams first. I used a three thread serger seam which makes it easier to fold that line to the inside and press it down. 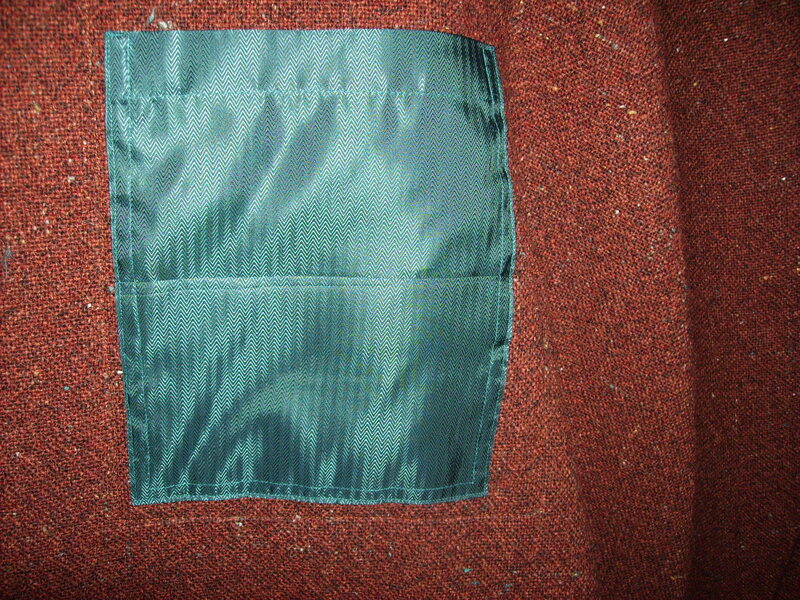 I lined the yoke/ sleeve part and the pockets , also made an inside pocket from the lining. I also altered the pockets design, the pockets pattern is a rectangle shape, but I decided after I made and lined them I did not like them. So I made a new pair of pockets, the instructions are not for lined pockets just fold the seam allowance in and top-stitch but I like my pockets lined so I did. The inside pocket is stitched behind the outer pocket which I thread traced first to know where to stitch the inside pocket. Also added a pair of tailored shoulder pads,( sewn between the lining and the fabric) to balance the wide of the coat. 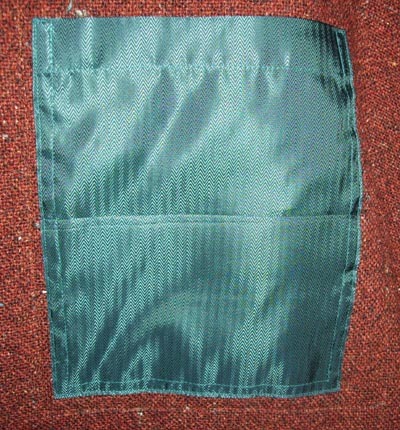 Fused strips of interfacing at the front edges at the seam allowance, which are cut on the crossgrain for stability. I did not top-stitched the facing of the sleeve hems, but bind the edges with bias cut lining and hand-sewed the hem facing. I lined the yoke/sleeve part which is helpful to wear the coat it slides more easily over the garments like a sweater since there is a lining attached. The lining is sewed by machine sandwiched between the yoke and back coat pattern, and hand stitched along the neckline and sleeve part. I sewed a loop at the neckline for when I travel by train where there are no cloth hangers around. I did use a large 3 cm snap to close the coat. Sewed the male part at the underlay and the female part at the overlay but decided to remove them and switch to a different way of attaching the snap because I did not liked the visible way of the snap when the coat is worn without the closure. 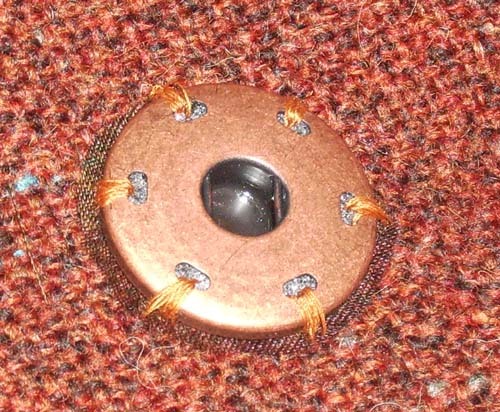 The female part is sewn from the inside with a backing of a circle of silk organza for stability and the male part is pushed between the wool threads so that part is only visible and useful. 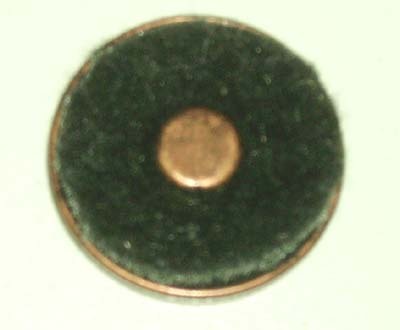 The female snap part, which has a deep hollow side I filled with 2 pieces of felt so it does not leave imprints after sewing the snap on. 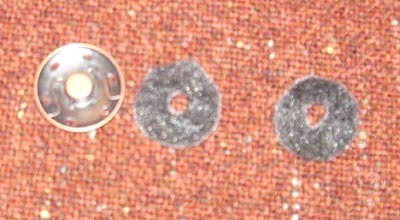 Also a backing from silk organza is used for reinforcement. Els, your coat is fabulous. It looks chic, warm and comfortable. Thank you so much for the details in it’s construction! Love the invisible snap tutorial. Such a great look on you! I learn so much from you blog. Thanks for sharing. I have always loved this coat. I got the pattern back when it was first released and have made this twice for myself and three times for others. When I sewed it before, I made it just like the instructions said, but since that time I have seen a version that, like yours, had more detail and better finishing. And it looked very good. As does yours! So next time I will try some of your ideas. Especially the lining over the shoulders. A very good idea! You look marvelous in that coat! You have the height to really make it look elegant. 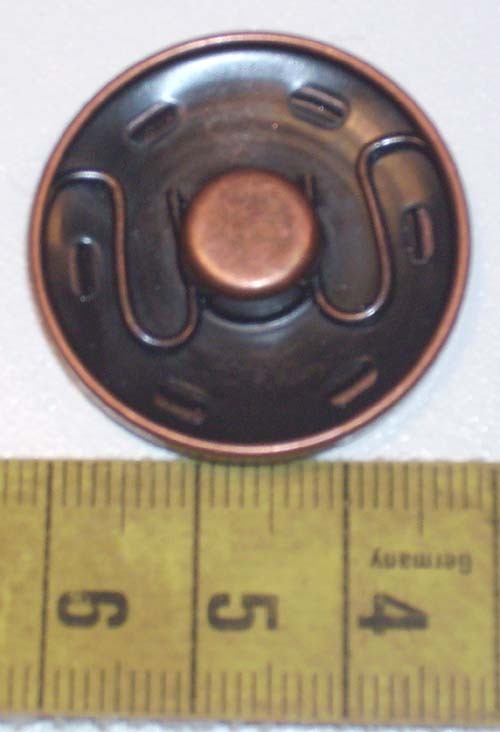 Thank you for the details of the installation of the snaps. Very useful and well thought out. Thank you so much for the review and photos. The coat looks fantastic on you. Since I am tall and large also, that makes me want to make it even more. I’ve had the pattern for a while, and recently found perfect fabric. So now I’m excited to make it! I think I’ll add some of your details – especially the shoulder pads and lining! Looks wonderful! That pattern has been in my collection for quite some time and I have yet to make it. Very inspiring! I, too, have the pattern now for some time in my stash and I have to say, that not only do you really look great in it Els, but it is very encouraging to see, that it doesn’t look bulky at all. PERFECT! You look amazing in it. Thanks for the details of the construction! This looks SO great on you! So fabulous. I have this pattern; I have always loved it, although I doubt it will ever look as good on me as it does on you Els. And you also answerd a question that has nagged me for years – that is – I’ve aways thought the model in the envelope photo has shoulder pads. And of course you look utterly super fantastic! Els, A million thanks for this posting. 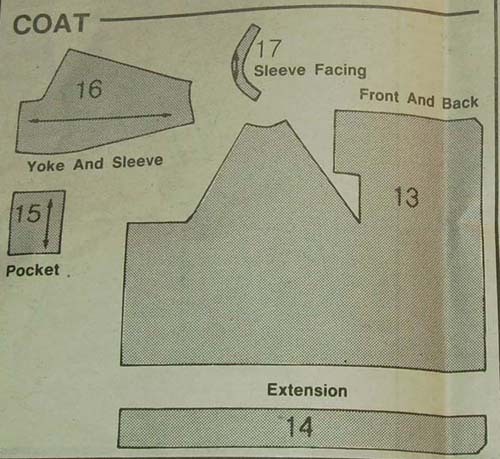 I have had this coat cut out in a beautiful woolen fabric, folded in a box for years…afraid to tackle it. Now, you have empowered me to take a look at it. Beautiful, just beautiful. Fabulous coat! How heavy is it? It’s deeply satisfying to see this pattern made up with so much thought and care. The fabric that you waited for works ery well with the pattern and it looks marvelous on you, Els. Take a bow! Outstanding! You look awesome and very elegant in your new coat, which has an incredible design! As always, your posts contain a lot of interesting detailed information to learn from and this one is no exception! Thank you so much for sharing! It’s terrific, Els! Thanks so much for the rundown, especially the bit about the snaps. I always cover mine, since having them show worries me; I didn’t know you could do it this way, though. I want to try this on something myself! Beautiful coat! I love the color. It looks great on you. Like a lot of us, I have the pattern in my stash where it has languished for a couple of years. I am only 5’4″ and, ahem, shaped like a fireplug and so am afraid of the coat overwhelming me. Did you find that the pattern ran large? I just bought another Miyake pattern today and the clerk warned me to buy a size small as there is a lot of ease in the pattern and the large would be too big. It was so fun to see someone else who had made that particular pattern up. 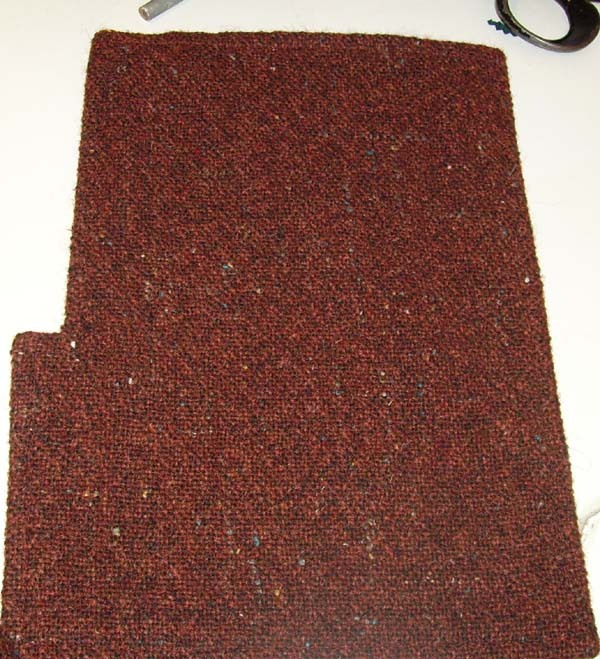 I made it about ten years ago or so and I too made it in a brown tweed. It has had many uses over the years besides the standard look when I wear it. My boys have used it in costumes, with one of their favorites being an “Obi Wan Kanobi” look, taken from Star Wars. They have even used it in videos that they have had to make for school and being boys they want to do all these adventuresome things. I like your idea of putting in a partial lining because that has been one thing I didn’t love. Thanks so much for sharing. Vogue patterns go on sale this weekend at JoAnn. I have the perfect fabric for this coat but was hesitant to sew it out of a wool knit. The shoulder lining should do the trick! Thanks! I found you on BeSewStylish. I just started blogging and love BSS and Threads! I believe this pattern is on of Vogue’s longest-running, and for good reasons. Issey Miyake is a genius! I, too, bought and sewed this pattern when it was relatively new, about 1993 (?) It is one of my favorite garments, and I always get many compliments on it. I really like your addition of the shoulder lining, but I don’t find the snap to be necessary at all. Mine hangs closed (overlapped) naturally–in fact, that’s one of the things I like best about it. Perhaps your addition of shoulder pads made a fastener necessary. A friend recently bought some beautiful surplus army blankets to make a really warm version. Lovely job, great idea to line the shoulders. I have made this twice and just love the dash and sweep. Reminds me of my “dress-up” cape when I was six! Also, everyone, do check out the fabulous shirt in this pattern. Have made that one many times, absolutely the perfect big overshirt. Yes, lovely tutorial about the snap. I was puzzled though, because I’ve personally worn this coat in howling gales (on both coasts, with and without snow) and have never had it open, much less need a snap. Then I got it; it’s the shoulder lining! When you need the coat secured, you just bring the underside up further on the shoulder. If you have lining there, it slips. Sometimes it pays to do things as the designer intended, specially when it’s such an out-there designer :-). Miyake certainely thought long and hard about his clothes’ functionality, I’ve never had anything of his that wasn’t completely comfortable, no matter how outlandish it looked. Loved the great post. I especially found your step by step tips very useful, what a money saver! The final pic looks like you made something that can fly! I used to make all my own and my childrens (5 of them! )clothes for years but have not sewn now for ten years. I just serviced my machines and started to go through all my old sewing stuff. I looked through a vogue pattern book and saw this pattern and then saw some beautiful boiled wool with a slight stretch in an aubergine colour and have been thinking about it all day and then I found your blog, how wonderful of you to share your experience and I am going to buy the pattern and fabric tomorrow and start sewing again. 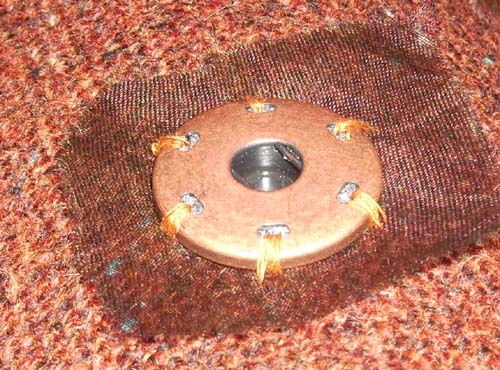 It is great..please could you help me as I am having problems with this pattern…. I like your idea about lengthening, the longer look on your coat is much nicer. I am 5′ 7″ and the length falls around the knees. I also think I should have made a smaller size. Vogue patterns usually run small, so I made the 16. There is too much fabric in the sleeve part. 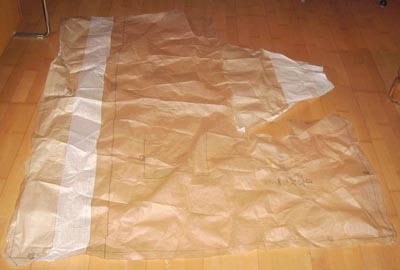 That is probably partially due to the heavy weight of the fabric, but I’m a bit intimidated about trying to alter it. Any suggestions? I’m hoping some of you who were chatting in the winter/spring of 2008 are still checking the web site out now, in January 2009! I have just found this website & it’s superb. I have just finished this coat in a drapey blcak wool cashmere & it looks marvellous. I’m short (163cm) & took several inches off. I also serged all round it. 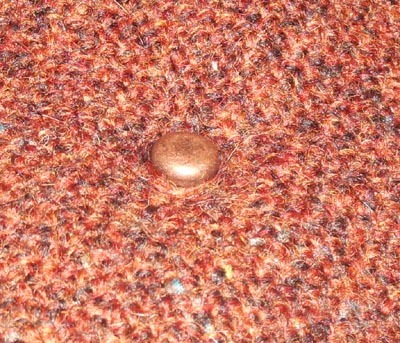 My best decision was to do a pair if 4mm wide topstitching round the whole coat. I used about a kilometre of thread + several bobbins and needles but it has given it a shiny edge with a professional finish. Some of your ideas will be incorporated into another one asap. I don’t need a snap but have a curious, black giant hook & eye that I may add for a closure. It seems unecessary though. The comments about other possible colours are also immensely helpful. AND recent blogs on the Chado Ralph Rucci dress are really going to help me when I get to cut and stitch another Issey Miyake top & skirt for which I have bought a very silky jersey in London at the weekend. So, it’s back over to the studio to finish my cute Vintage Vogue jacket, cut out yesterday. fascinating. I am 5’4″ so I didn’t alter the length, and anyone taller than me would definitely need it longer. I made it in a lovely plain brown soft linen and used the frayed look selvage, plus frayed and stabilised the other edges, and the back yoke seam is inside out and stitched down, so the frayed edge shows there. just a little “deconstructed” 90’s flavour. of course it makes it even more Obiwan. 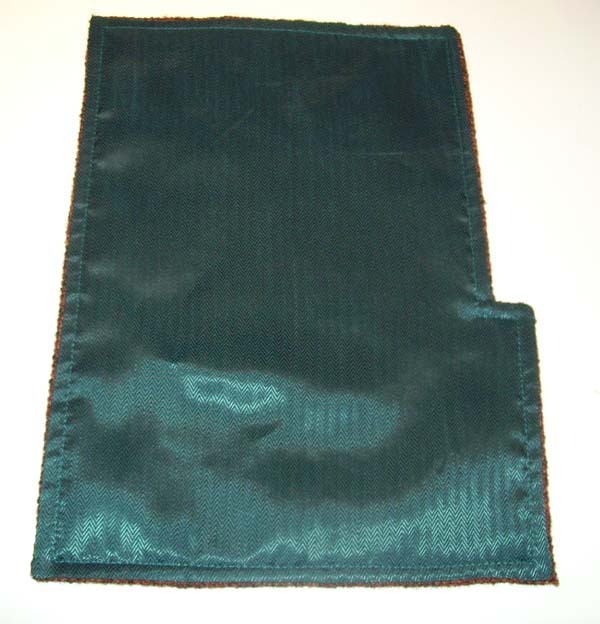 I found it relatively easy, but the deep vee cut was a pain where the pockets come onto the front just above the pockets, I failed to get a nice smooth transition, and have what looks like little tucks or pleats there – would that have been due to my cutting the linen not quite straight? it’s very hard to keep the weave straight when handling such a large piece of floppy fabric… now I am working on the trousers, as I think the whole look will work better, firstly I had to throw the first pair of pockets I made as I got them upside-down … origami pockets – and the waist tucks will be rather less as I no longer have a size 12 waistline and can’t bear high-waisted things! Thanks for the hint about the lining. 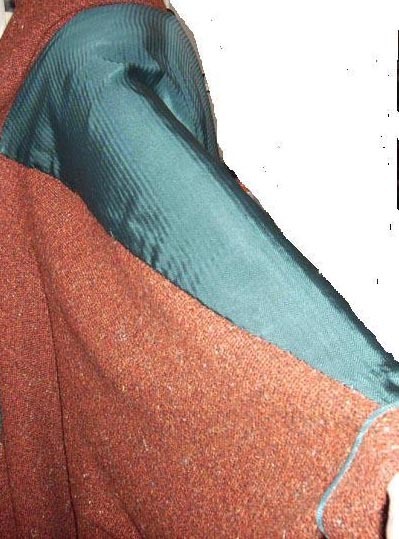 I’ve had this pattern since it came out and just bought a replacement, sadly in a larger size (for those looking for the pattern, use this link as otherwise it seems to come and go as far as showing up…http://voguepatterns.mccall.com/v1476-products-3957.php). You do look great in the coat…and isn’t it SUCH a graceful pattern!